Remember how fun it was to drink out of drinking fountains when you were a kid? Of course, that was well before you know about germs and the horrible, horrible things people do to public drinking fountains. 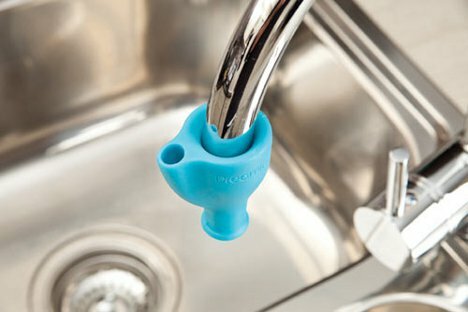 Australian company Dreamfarm has come up with a compellingly simple way to turn your own home faucet into a fun drinking fountain where, presumably, the only germs you’ll find are your own. The gadget is called the Tapi. 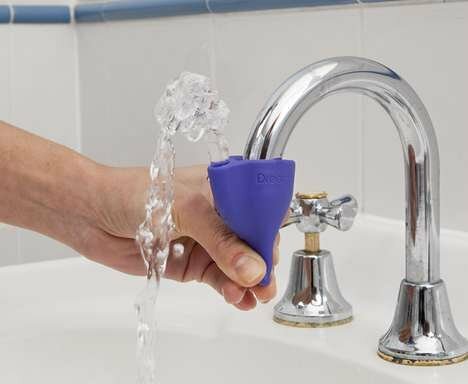 The small piece of water-safe rubber fits over the tap of any regular kitchen or bathroom sink. The sink still functions normally until you want to take a drink. Then, you gently squeeze the Tapi until water begins to flow from the smaller hole in a convenient upward-curving direction. 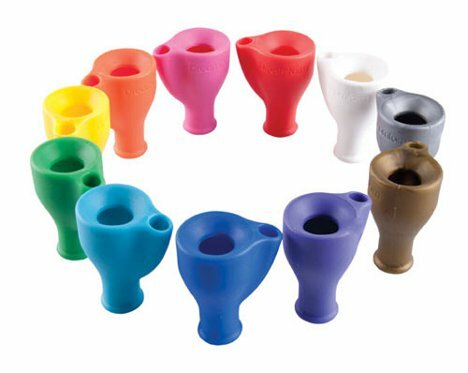 You catch the water in your mouth and forget about dirtying a cup (or worse yet, wasting a paper cup) just for a small sip. The exceedingly clever design won a Red Dot design award in 2011. It’s available directly from the Dreamfarm website. See more in Industrial Design or under Technology. March, 2012.